Hi everyone! 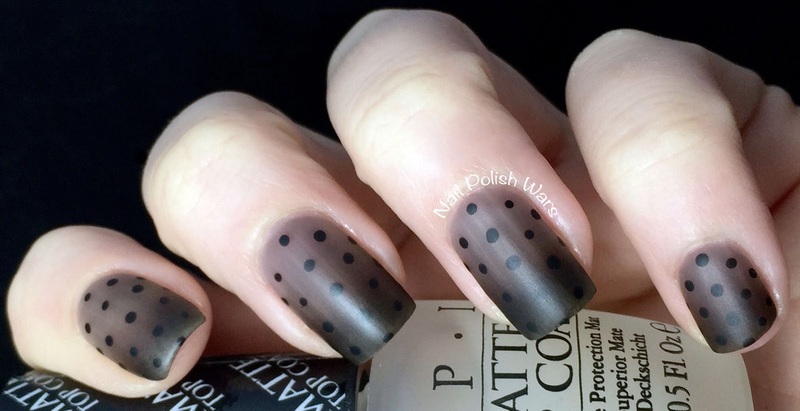 I've seen some awesome black jelly manis lately, so I decided to try one! I made my own black jelly by adding about 10 drops of KBShimmer Eclipse to KBShimmer Clearly on top. I applied two coats of the black jelly, followed by one coat of SV. 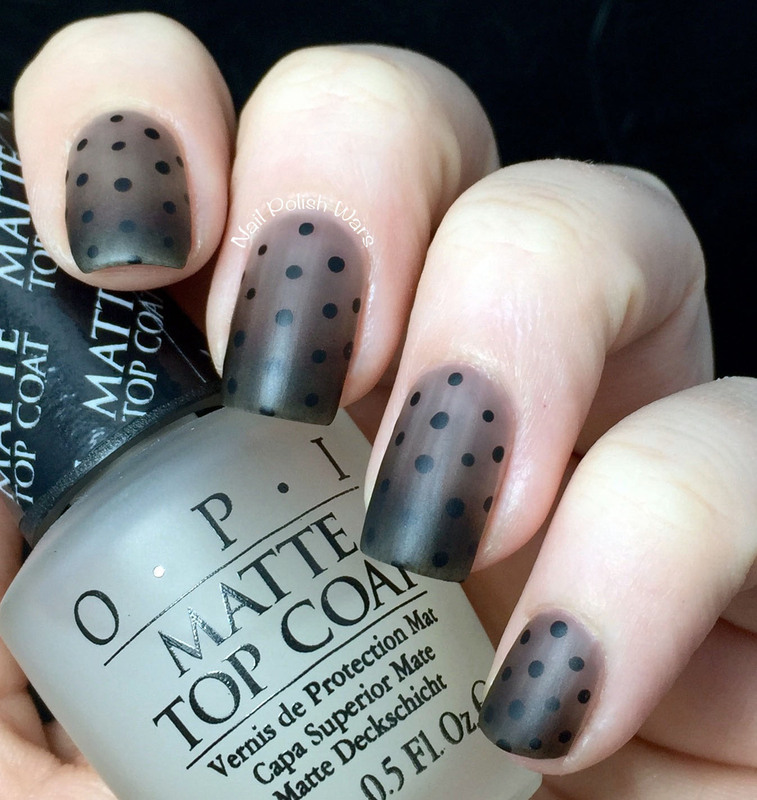 Using a wedge sponge, I added a gradient to the tips with Eclipse and then paired it with my dotting tool for the polka dot pattern. 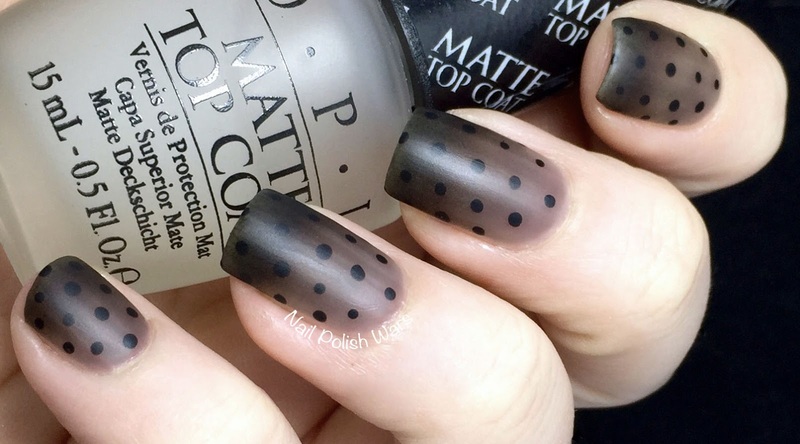 I finished with OPI Matte Top Coat. I love the end result! I can't wait to try some other black jelly designs! These are so neat, I love the blackened fade! That is gorgeous, I'm going to have to experiment now! I love this design! It's one of the prettiest gradients I've ever seen. I'm loving the black jelly look, so cool! This is so elegant and simple. And honestly I bet you could do it with any color and it would look so great! 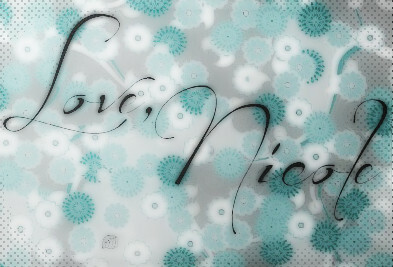 Nicole! Gorgeous and innovative as always!! !